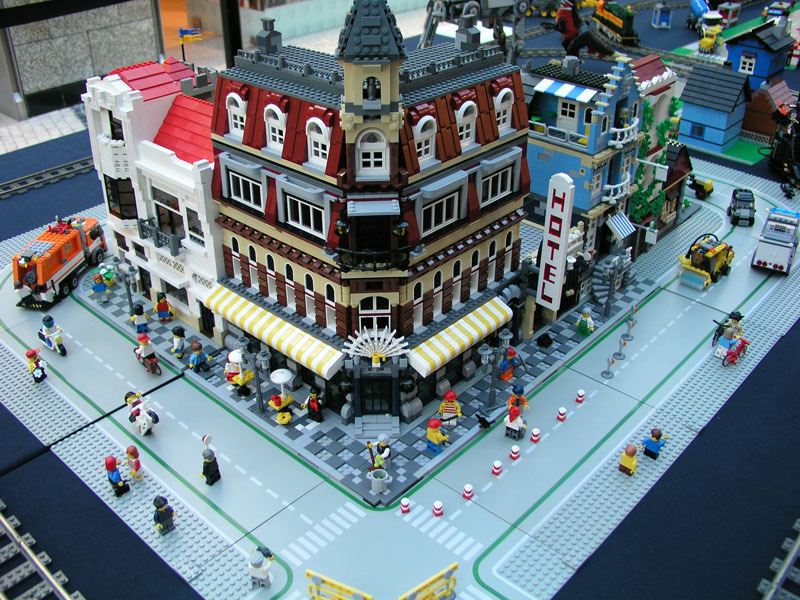 Brick Town Talk: November 2007 - LEGO Town, Architecture, Building Tips, Inspiration Ideas, and more! It's worth to take a look at the rest of the folder. 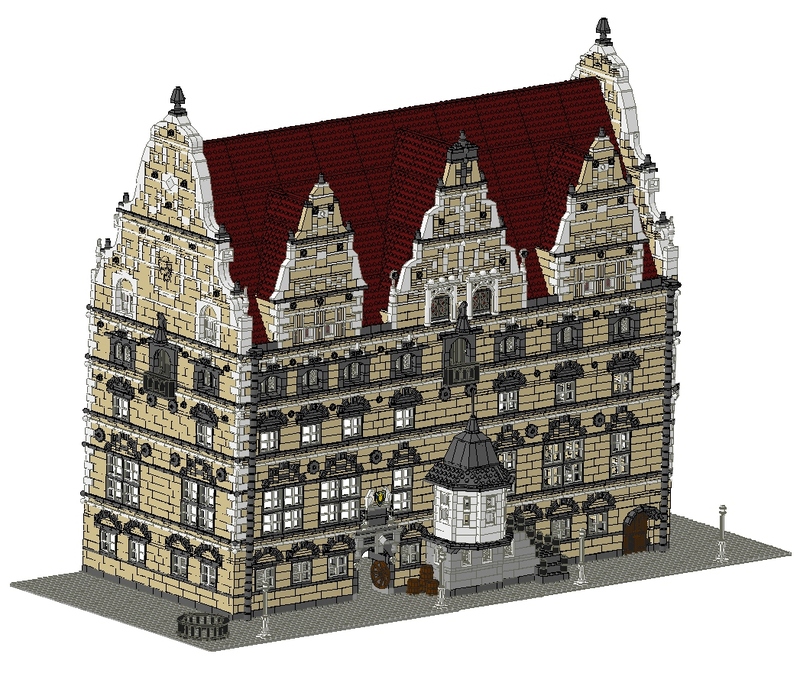 Look at this gorgeous CC style building! 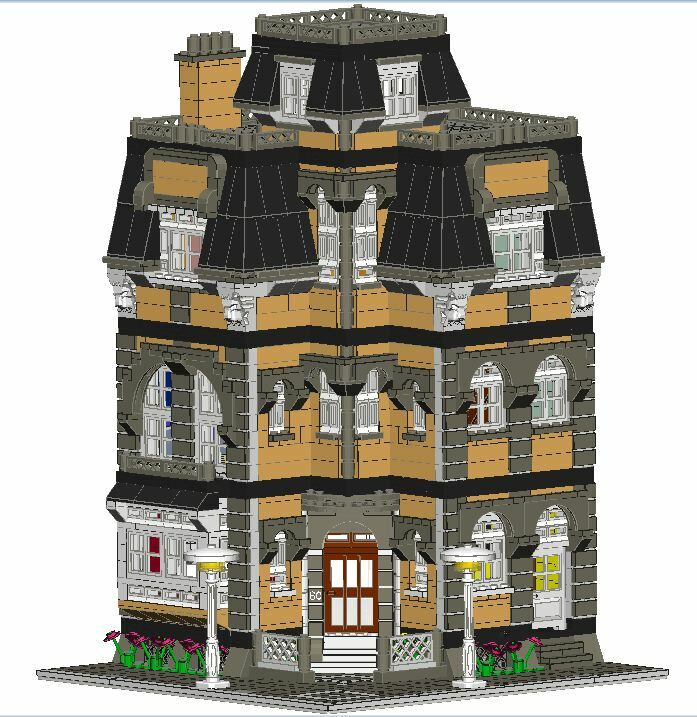 I must admit that the thing that I like the most is the ultra detailed 1st floor! But see the rest of the folder because Yurikostar didn't just make one version of this beauty, and there are plenty of other pictures of its interiors! 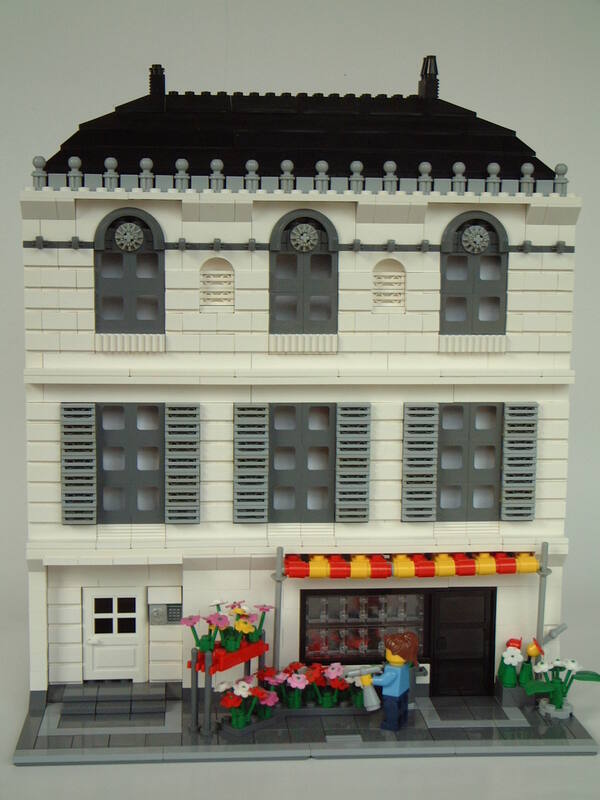 Nexus7 created another great CC style MOC, this time a florist. Love that entrance! 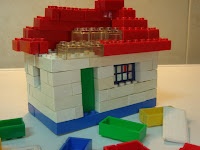 In 1949 LEGO produced bricks different from those we are used to nowadays, these were the primitive Automatic Binding Bricks. They are very rare these days, however my buddy Conchas could get some of these in order to make a building that resembles a style of houses common in a Portuguese region called Alentejo. Well, things have been kind of quite around here since there are no CC style MOC's floating around BS. 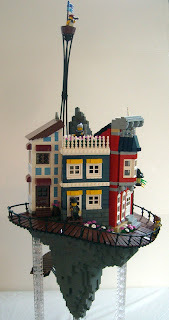 So here is a MOC so gorgeous that it could be easly turned into a city MOC. 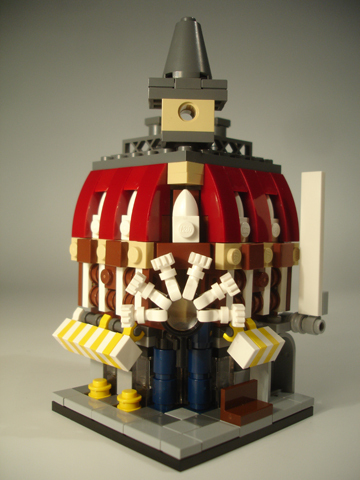 This MOC won a prize of "Best Steampunk" but it's not just a great steampunk model, it's also a MOC that any CC fan would apreciate. Those buildings just look great! Exellent color balance and great techniques for buildings never seen before. So here it is on Kevin “Kevoh” Blocksidge's Website. 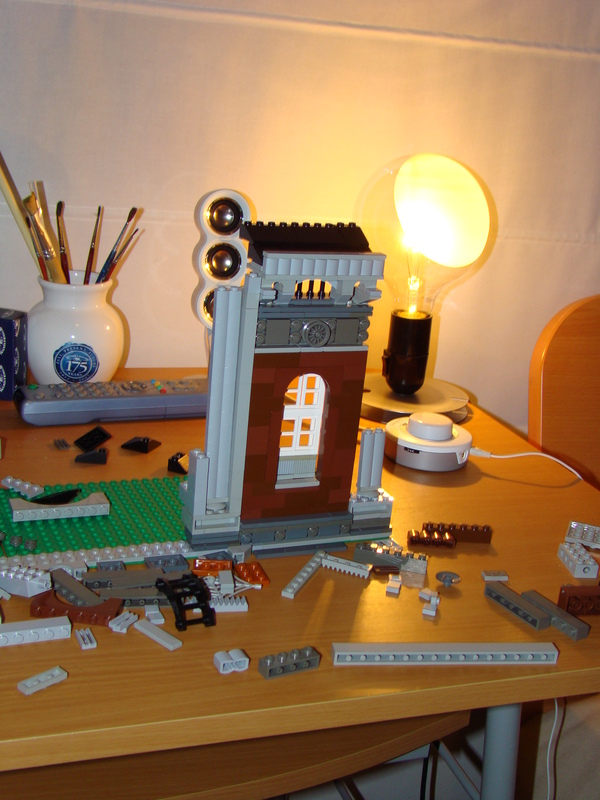 Well I got tired of making digital buildings so I started this one in real world bricks. It's really a small part of the building, however this is part of a group project (it's secret for now). Not only am I over-the-moon that designers from my generation are at the reigns of LEGO now... They put together a set of my favourite car of all time. Congratulations again LEGO. I believe from the article that Steen had a lot to do with this one. Love the colours. It looks a fair size too. It will be released in the second half of the year - can't wait. I can feel another Blog coming on for all the colour variations (flower power etc) that will be put together by the fans. Not exactly CC Style - but worth an entry on the Blog. I've been away for a week in Yorkshire with the kids from my class. Its good to be back. News / pictures of The Green Grocers must be coming out soon. 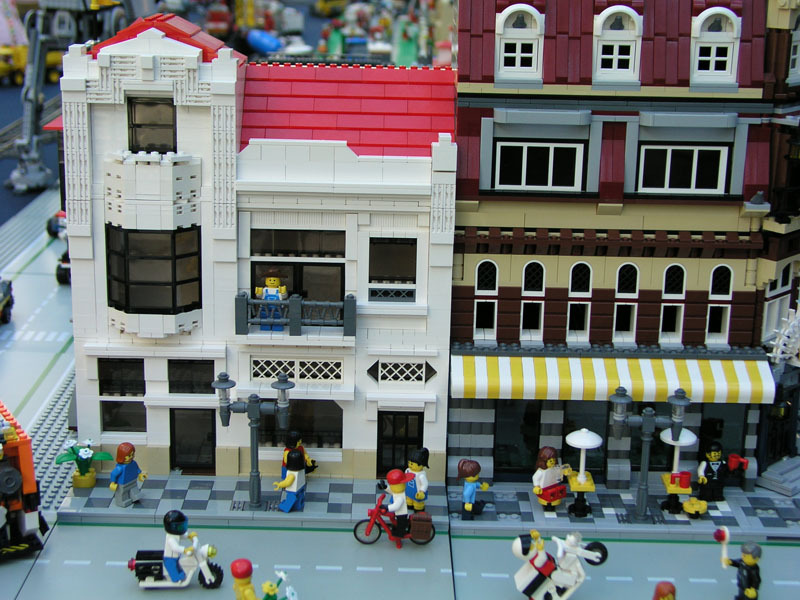 I'm also looking forward to Cafe Corner being Christmasised by LEGO fans around the world. I had to move these comments into the main Blog - just in case you haven't read them yet. Can't wait for more news Jamie. Thanks guys... Good to hear from you. Thanks for your comment Jamie. I like the smaller details like the popcorn stand and the gumball machine. The garage is spot on too. I'm looking forward to finding out how the cinema sign is attached. Did you have any say in the design of the new clear door? Any news gratefully received.